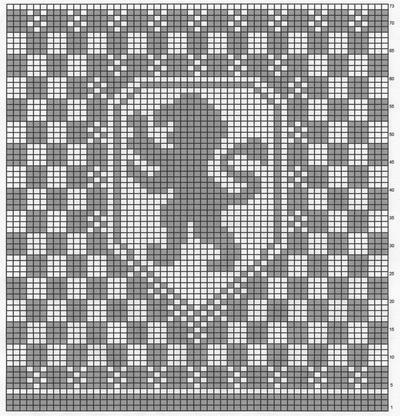 This chart was originally used in the House Crest Fair Isle Bag tutorial. Rosemary Waits (a.k.a. Quietish)'s tutorial was taken with permission from rosemarywaits.com.